Good food for all. 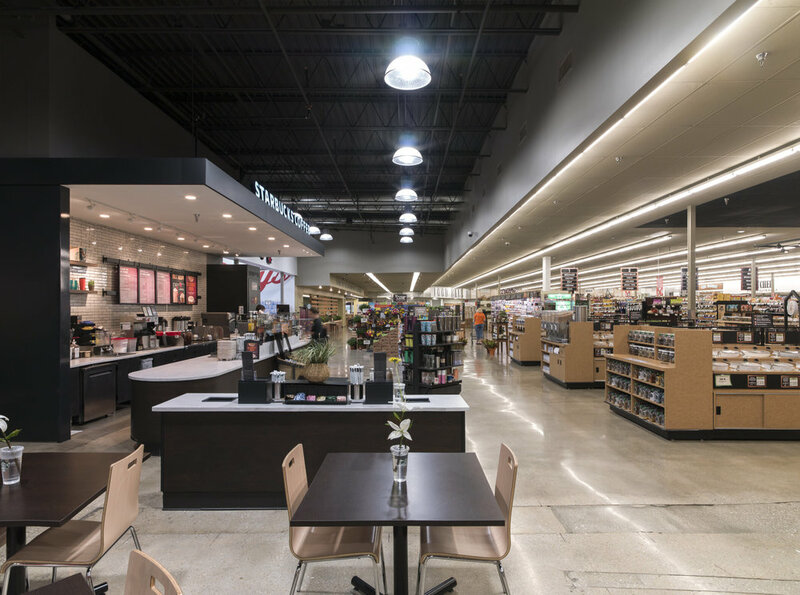 A modern health food market. 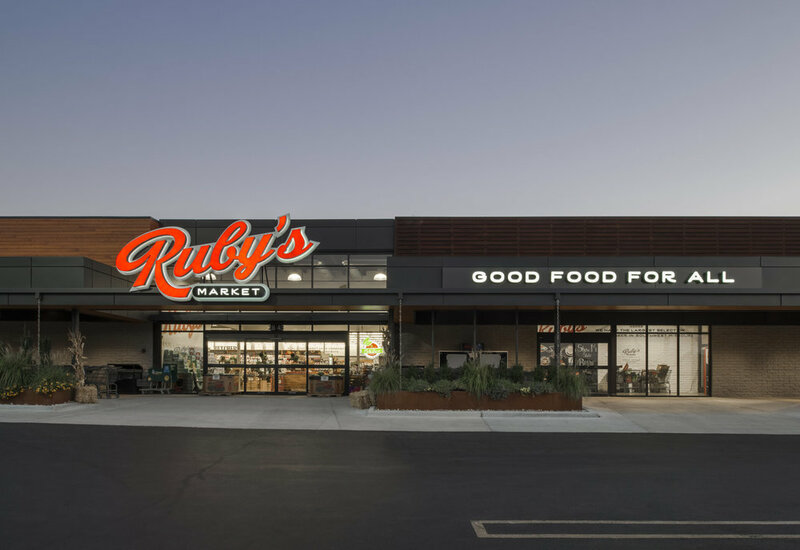 Asked to help launch a new grocery concept for Pyramid Foods, Ruby’s Market provided a great opportunity to demonstrate how architecture can help to anchor a brand, define a concept, and introduce a new model into the marketplace. 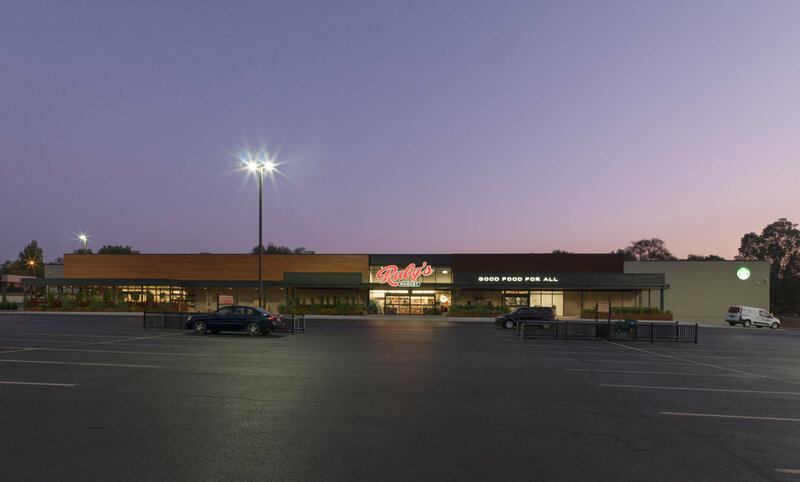 The architecture aimed to use design elements and material choices to communicate key elements of the companies mission: modern, locally sourced, healthy living.